Mr. Tor Christian Sletner is Director, Head of Environment, Research and Innovation in the Norwegian Shipowners' Association, a position he has held for the last 6 years. He is educated from the Norwegian Naval Academy and Norwegian Staff College and after his professional seagoing career he holds the rank of Commander in the Royal Norwegian Navy. In addition, he holds a Masters� Degree (MBA) in Strategic Management from the Norwegian School of Business and Commerce. Mr Sletner's professional career covers a broad spectre of maritime positions i.a. Vestfold University College as Head of Maritime Department, in DNV as Assistant Director within Environmental Solutions and several years as Director in the Norwegian Coastal Administration with special responsibility for national emergency response for oil spills and accidents at sea. 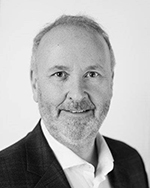 He is a permanent member in the Norwegian delegation to IMO, he is a member of the Board to the Norwegian NOx fund and he was appointed Chairman in the ECSA Air Emissions Expert Group last year.